Area : Super Built Up 1175 Sq.ft, 1254 Sq.ft, 1379 Sq.ft, 1419 Sq.ft & 1498 Sq.ft. Area : Super Built Up 1560 Sq.ft, 1585 Sq.ft, 1655 Sq.ft & 1753 Sq.ft. Paul Alukkas Elavia, developed by Paul Alukkasevelopers which offers you 2 BHK & 3 BHK Apartments Super Built Up Area Ranging from 1175 Sq.ft to 498 Sq.ft. The Complex provides you 11 floors Built Up on 0.49 Acres of Land with One Iconic Tower and 55 Units. Ready to Move Since January 2018. 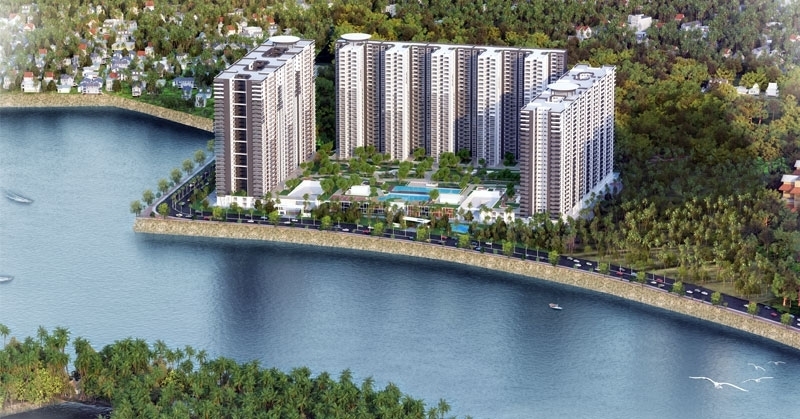 The development provides you various Amenities like Lift, Fire Fighting Systems, Rain Water Harvesting, 24X7 Water supply, Power Backup, Intercom Facility, Security Personnel and etc. The Complex provides other specifications like Glazed aluminum windows, Imported sanitary ware, Highly polished granite top and stainless steel sink, Imported CP fittings, Vitrified tiles, Concealed copper wiring in PVC conduits. Located at, Goshree Chathiyath Road, Ayyappankavu. The development provides you a well settled neighbourhoods like Canara Bank, Sree Narayana Higher Secondary School, Sankara Ananda Ashramam, Hotel Prayana and Keyframes Animation Studio. The complex has a well Network Road like Ayyappankavu Road, Welcome Road, Kannachan Thodu Road, Chittoor Road and Nehru Road. * 1/18 copper wire shall be used for earthing using the loop system. * Leakage Circuit Breaker and MCB shall be provided in each apartment. * Lightning arrester and earth pit will be provided with separate earth pit for the elevators.